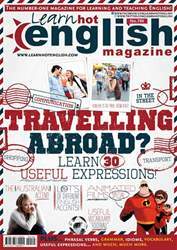 Digital Subscriptions > Learn Hot English > 194 > LEARN THESE USEFUL PHRASES FOR TRAVELLING ABROAD! A How do you pronounce your surname? A I’m sorry but could you speak a bit more slowly, please? A Do you speak Italian?